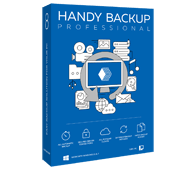 Backup Plug-in System: Backing Up Files, Hard Drive Imaging, Etc. 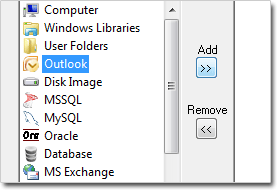 Plug-ins: Windows Registry, Applications, Disk Image, Database Backup, etc. Besides these plug-ins, our software has multiple advanced features that are available starting with particular edition. Image Backup - this plug-in allows creating a complete HDD backup which contains all drive contents including operating system data and all information that is not represented as files. ODBC Database Backup is a general plug-in for hot backup and recovery of tables of ODBC-compatible databases. We welcome you to try out the Professional edition of our software. Full-featured 30-days trial period! The Server Network edition is a solution for centralized enterprise backup, when you control backups of an entire corporate network from a single server. Each user is free to choose any combination of features that he wants to use. The smallest set of features is defined by functionality of the Standard edition which can be upgraded with whatever function at any time. To add certain ability, you need to order it as an additional upgrade. Note: In our software, the term upgrade doesn’t imply installation of new or modification of the original software. When you purchase an upgrade, you don’t get any software packs to update the program: what you receive is an update of your registration key in our customer database (e.g. the information about the features your serial number allows using in Handy Backup). To enable a feature after buying an upgrade, simply re-register the program with the same key.